Have you heard of Masha and The Bear? 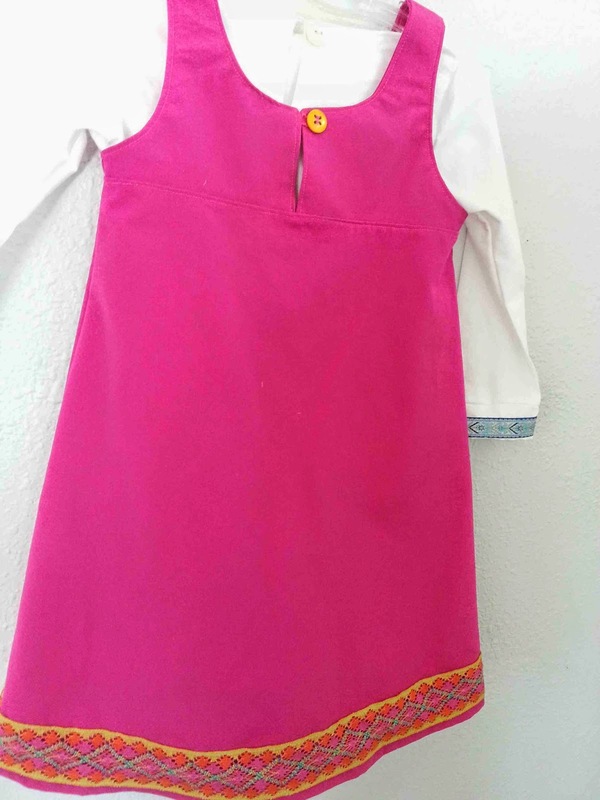 I hadn't, not until my cousins asked me to make up a Masha dress for their little daughter's party. 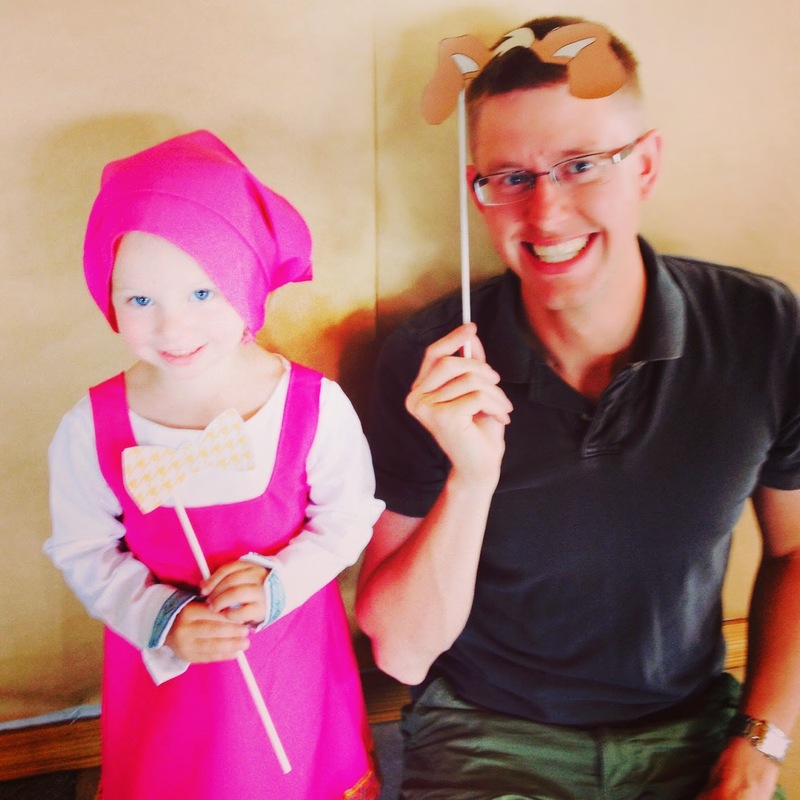 Apparently Masha and Mishka is her favorite Russian cartoon, so they planned a Masha themed party to celebrate summer. Masha's dress is adorably simple. An a-line skirt, and a deep necked bodice made the pattern pretty simple to draft. The hardest part was finding the right trims for the sleeves of the shirt, and the hem of the skirt, which I ended up picking up at Joann's, not perfect matches, but they worked. 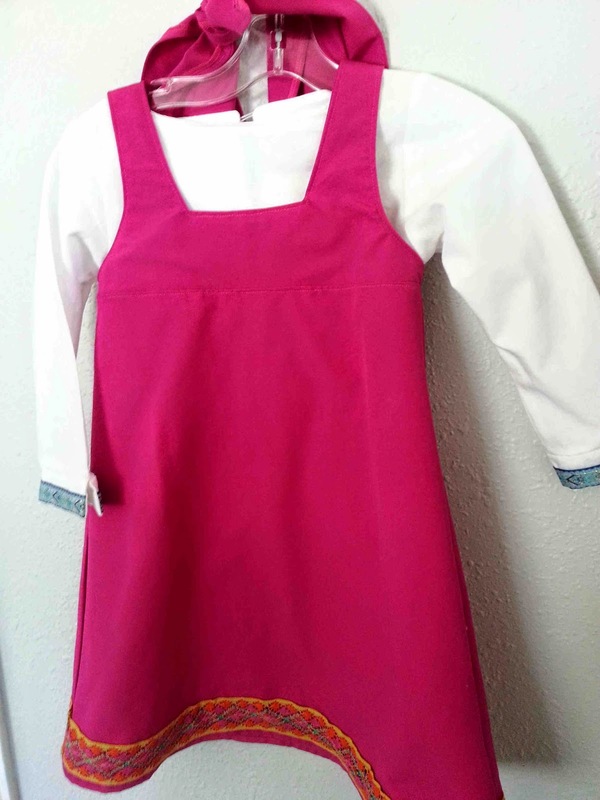 As far as materials go, I used a pink suiting fabric for the dress, and a white oxford shirting for the top. I added a simple button closure at the back of both the shirt and the dress. 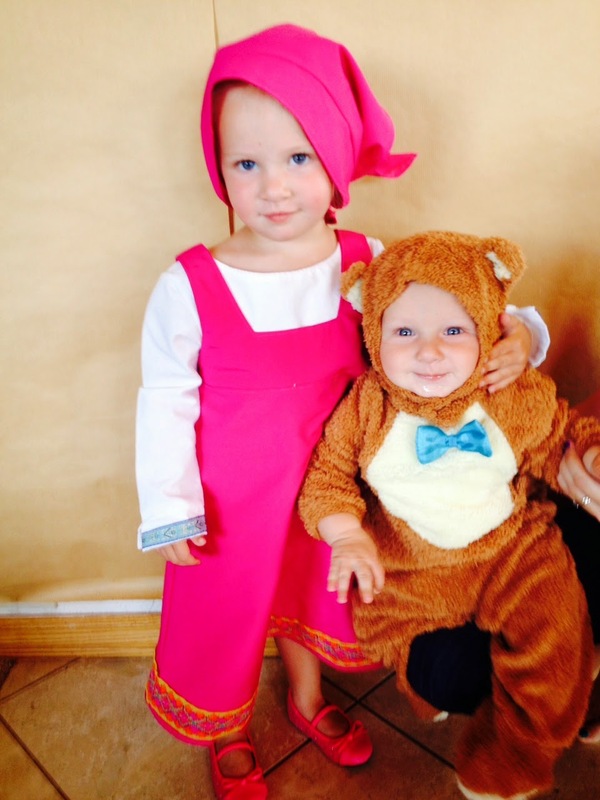 She made an adorable Masha, and her little brother made a perfectly cuddly bear. That is a darling outfit. =) I've never heard of Masha And The Bear before, but you did a great job imitating Masha's outfit! Oh this is too cute!! Well done! Do you have any interest in making another one of these? 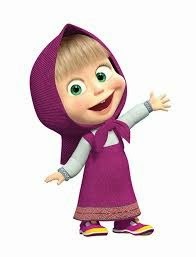 My daughter wants to be Masha for Halloween but I can't find anything anywhere. I cannot find any Masha costumes to save my life! Is there any chance I can order a Masha dress from you by Halloween? My daughter is obsessed with Masha and she is 2.5.
yes please let me know if interested in making more! 3 yr loves Masha! Hi! Can you share what pattern was used for the head piece? Did you make it like a bandana? My toddler loves Masha and the bear.he says masha akka...akka in our regional language means sister...he instantly conctd vth Masha like he concts vth his cousin...adorable. I'm a mom from Brazil, could you share the dress template, I mean the mesurements and the paper tenplate. Tank you so much. Marcia. Hi..I really love the costume..Youre baby girl is so cute..Are you able to sell that kind of costume..? Thank you so much for such an wonderful blog. I’m really thankful to you for this informative article.